NIMMONDIGE NAANU: Can we believe it? 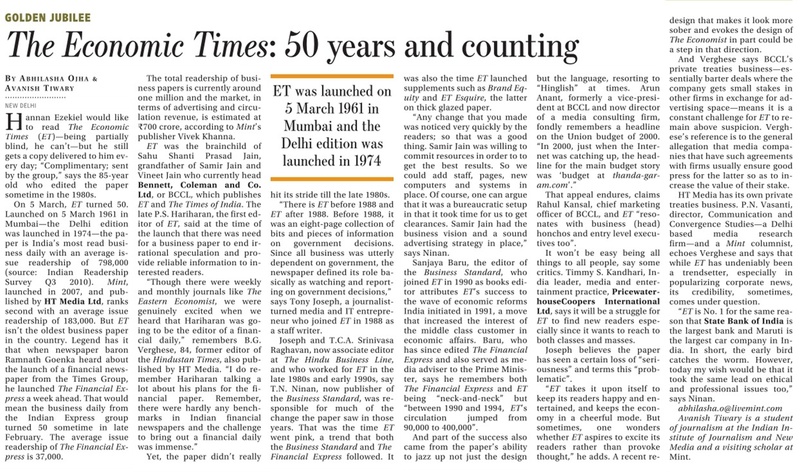 Mint, The Business Daily, in its issue of March 9th has published “The Economic Times: 50 years and Counting”. 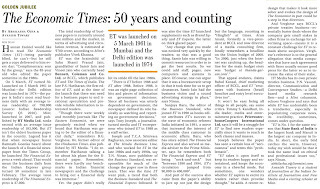 It tells many things about E T- which is a rival daily paper- including the circulation figures of E T which is far ahead of Mint. This is what we can call healthy Journalism. People want a similar healthy politics. Please read the column on my blog today. You are always the voice of poor and ordinary people. SEVA BHARATHI – 25 YEARS OF BENEVOLENT SERVICE!